I read an article yesterday, a few hours after a discussion of varying opinions on a post in a local homeschool group took an odd turn, that left me wondering what in the world is happening in our homeschool community. The article I am referring to, “Dear Homeschoolers Please Stop”, addresses the “annoying things” that homeschoolers say and do, and tells homeschoolers to stop doing them. The article alienates a huge part of the growing homeschool community: Moms whose children are not of “school age”. Here is my response to a few of the 7 things that annoy The Hmmmschool Mom to the point where she felt it necessary to put down other homeschool moms (and those who plan to be homeschool moms) instead of discipling them. Let’s start with #5. 5. Homeschoolers, please stop asking me what I taught my kids when they were two. Realize that when you complain to me that public school moves too fast and doesn’t let kids be kids…but then you ask me what curriculum I used to teach my 18 month old their colors, we’re going to end up in a very uncomfortable staring contest. Moms who are considering homeschooling have questions, lots of questions, they are filled with self-doubt, and their decision to homeschool is being challenged by their family, their friends, the butcher, the baker, and the candle stick maker, people who have no business what-so-ever weighing in on their children’s education, but have no sense of boundaries and do it anyway. These moms need our support. They need to know they can do this, they need to know that it is a journey, they need to know it isn’t always easy, they need to know there will be bad days, bad weeks, sometimes an entire semester where everything feels off balance. They need to know that they can’t mess up their children for life, they need to know that they have a handle on this. They need discipleship from experienced homeschool moms who have been in the trenches. They do not need to be ridiculed for asking what seems to those with experience to be a ridiculous question. Seasoned homeschoolers just answer in love even if the question seems absurd to you. It’s called discipleship. 6. Homeschoolers, please stop telling me you are homeschooling your six month old. You plan to homeschool. You are not currently homeschooling. If your child isn’t old enough to be asked “why aren’t you in school today”, you’re not homeschooling him. 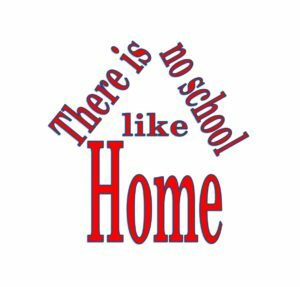 If your child wouldn’t otherwise be in public/private school (heck, I’ll even give you preschool…) at the age they are currently at, you are not currently homeschooling. When your child is older and you are wading through long division or algebra or mom you never taught me how to write a paper, or hey guess what there are still bullies in co-ops, you will understand why I’m-homeschooling-my-6-month-old is so annoying. Homeschooling is a lifestyle, it is a journey, it is not something that has a set start date, or pre-determined end date. Homeschooling should be about instilling a life-long love of learning, and so what if someone who is excited about reading to their six-month-old and reciting the presidents and state capitals to them calls it homeschooling, does it affect your life? So what if you find it annoying, we all do annoying things, get over yourself. The important thing here is that the mother is taking an interest in her child’s education from the beginning and is starting to foster a love of learning as early as possible. I say all of this as a mom who has homeschooled my children for 10 years, I have gone through Algebra 2 times (3 if you count the semester, I homeschooled my step son before we officially started homeschooling), I choose to not be the teacher, rather a facilitator (more on that when we address the “unschooling” and “fluffy unicorn schooling” portion of the afore mentioned blog post), because as I stated above, homeschooling is a lifestyle, there are no set times and dates. If someone wants to start encouraging their 6-month-old to love learning, and to love reading (being read to encourages a love of reading) that is great and is an excellent foundation for a home-based education. Maybe it annoys you, but who cares, I am sure people who know the author of this pretentious blog post could make an entire post or two about her annoying qualities. 2. Homeschoolers, please stop thinking that because you homeschool/unschool/radically unschool/fluffy unicorn school that your child is going to be more enlightened/more inspired/more motivated than all those other children who attend (gasp) public school. Stop thinking that your child is going to be self-motivated to change the world by age eight. I mean, it could happen. But more than likely, it won’t. It’s entirely possible that your 8-year-old might be throwing mud at his sister in the house while your 12-year-old plays TF2 for the 13th hour in a row and you sit at the table with a glass of wine. Be proud of the kids you have, okay? 3. Homeschoolers, please stop thinking you have to pick a side. b) hate God, cops, government, GMOs, gluten, and structure of any kind. The groups at both extremes in the homeschooling community are so polarized—even though they say they aren’t. That polarization makes it really hard for the huge middle ground to convince the rest of the world that we are not one of Those Kinds Of Homeschoolers. Hello, point #2, is polarizing, the entire blog post is polarizing. The whole basis of her post is to make fun of homeschoolers who don’t do things the way she thinks they should be done, she offered actual encouragement at the tail end of 2 of her 7 critical points. If someone wants to quote 37 Bible verses a day and you don’t like it, don’t read them. People who have differing opinions and are not afraid to voice those opinions, are not by default “polarizing”. Having differing opinions does not mean they have a ““my way or the highway” mentality”, cliquey, or suggesting a “one size fits all” approach (Those last three were taken from that Facebook thread I mentioned at the beginning). If you think someone who doesn’t think exactly like you is polarizing simply because you don’t like what they have to say, then you need to take a good look in the mirror. OK, back to the whole unschooling point. Homeschooling is great because it can be individualized per family and per child. Unschooling may not work for you, but it does work for many families, for many children, bashing an entire homeschooling method because of judgmental preconceived notions based on assumptions is, well, polarizing, cliquey, a “my way or the highway”, “one size fits all” mentality. 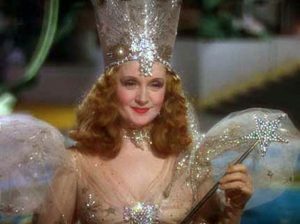 Then “Glinda” tries staging a coup because they don’t like the direction a conversation is going instead of contributing to the conversation in a respectful manner and defending their position on the matter. What is the point of being upset to discover you are not in an echo chamber? If you want to be in an echo chamber, start your own group, and tell new members up front everything they have to believe in order to belong with a list of opinions they are allowed to share, and which things are never to be mentioned. Yesterday I reached my limit with people who cannot handle differences, they say they are all about differences, but what they mean is only differences they are comfortable with, not differences they disagree with, or don’t understand. Homeschool moms, can we please lift each other up, support one another, encourage one another, be a listening ear (even when “annoying” questions are asked), be a part of an exchange of ideas and not leave the sand box in a tizzy because someone said something you didn’t like or agree with? You have choice, you can be a part of a community of diverse people from diverse backgrounds, homeschooling differently for different reasons, with different opinions, world view, religions, political beliefs, and experiences… Or, you can find an echo chamber to hide in where nothing will every rub you the wrong way, offend you, annoy you, or hurt your feelings. It’s your choice. “The Hmmmschooling Mom” had the opportunity to disciple new homeschool moms (no matter the age of their children), and instead wrote something that would make many new and prospective homeschoolers feel even more isolated than they already do. Hmmmschooling Mom and mom who left a local homeschool group yesterday before anyone could address your concerns and accusations, check yourselves, you have flaws too, you have annoying qualities too, your opinions also come across as self-righteous, you also sound like it is “your way or the highway”… You are everything you criticize other homeschool moms about. Stop.